with the 5 Alive Real Estate System! Work Smarter. Earn More. Enjoy Life. Are you tired of always chasing the next deal and wondering where your next commission check will come from? Do you feel like you are running on a treadmill working 40+ hours a week and constantly prospecting but never filling your funnel with enough high-quality leads? It is exhausting and stressful just thinking about it! Instead, what if you had a system you could simply plug into and follow step by step that took all the guesswork out of prospecting, getting leads, closing deals and collecting commission checks? What if we told you that system was guaranteed to deliver a MINIMUM of $75,000 (most agents earning up to $150,000) in real estate commissions annually with you only having to commit 25 hours a week? Imagine how different your professional and personal life would look then. You don’t have to imagine. You only need to sign up now and follow the 5 Alive course - a system that has been tested, tracked and proven to deliver real results for hundreds of real estate agents of all backgrounds and experience levels. This is a no-brainer. Follow the system. Work smarter. Earn more. Enjoy life. This is an amazing opportunity for real estate agents to change their professional and personal lives for the better! Sign up now for this amazing course which has never been released to agents outside of Chantel Ray’s team until today. 5 Alive was born from the simple need for a real estate program that worked for agents of all backgrounds and experience levels. After working with a team of agents who had mixed results following different methods, Chantel Ray knew that there had to be a better way to help her agents succeed. Chantel took the best strategies with proven results and combined them to create one of the most effective programs for getting clients and earning commissions. 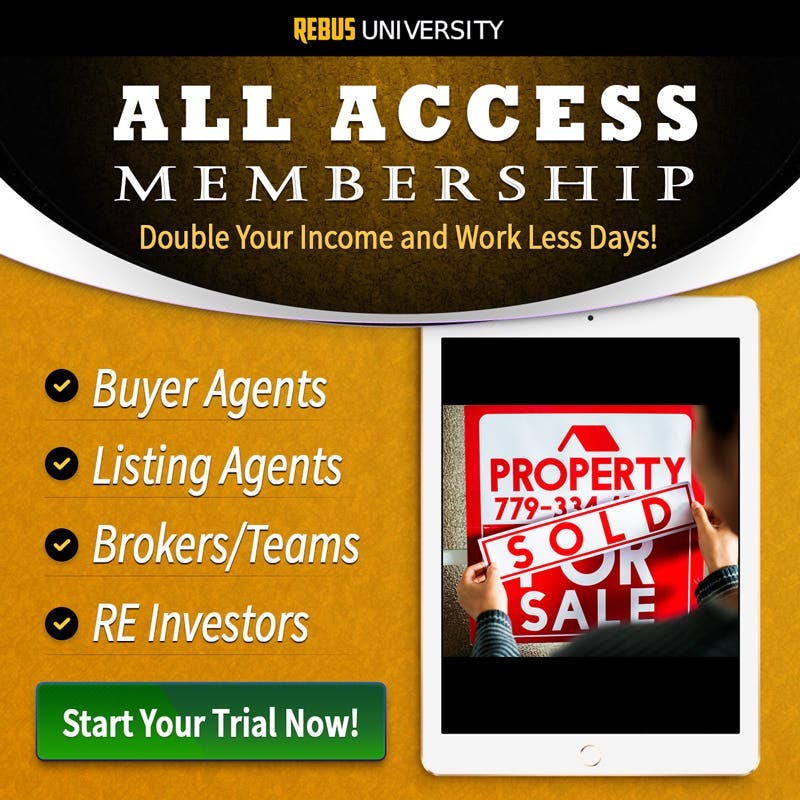 Now, after years of testing, analyzing, and streamlining into the exact formula which delivers maximum results, Pat Hiban is honored and excited to offer Rebus University real estate agents the opportunity to benefit from this course - a course never previously offered to anyone outside of Chantel Ray’s team of agents. Why is Pat so excited for you? Because he knows that, with a minimum time commitment of 25 hours and by following the 5-part system exactly, 5 Alive will change your professional and personal life for the better. Everything you need to succeed - a plug-n-play system to follow, scripts for face-to-face meetings, templates for emails, texts and voicemails, a proven secret social media formula, a step-by-step Monster Open House recipe, and much more - is right here in the 5 Alive online video course. Because 5 Alive is so powerful, Chantel is able to guarantee real estate agents joining her team at least $75,000 their first year. By following 5 Alive and Chantel’s advice, the agents of Chantel Ray Real Estate have achieved unrivaled success in Virginia. 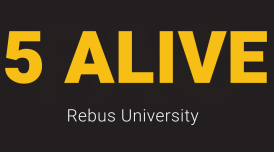 Now, thanks to Rebus University, you can experience the same level of success in your market! Simply follow the 5-part program with a 25-hour-per-week commitment; that’s it! In return, you’ll generate the same $75,000+ commissions Chantel’s agents do. If not, simply take advantage of our 30 Day Risk Free Money Back Guarantee. What are you waiting for? Sign up now and let 5 Alive guide you to real estate success. I loved 5 Alive courses. Chantel's ideas were far better than anyone else's I have ever heard. So simple but yet effective. Congrats to Pat and Chantel for this wonderful tool I can now utilize in my real estate business. When the course first started and it started with cold calling 200, I was like, I am going to hurry and complete the course and ask for my money back. This is not for me. But as I went through the class, it was a great refresher on what I need to be doing and many great ideas of things and conversations to start doing and having. I really am glad I finished the course and I will not be asking for my money back. I feel I got plenty of value for my money. I will even be recommending this class. Again lots of great info and a great weekly routine to follow. As a Managing Broker, found this course, the most enjoyable course. Pat and Chantel Ray present an awesome way to get into or stay in real estate. This is a very real, workable approach that is FUN.... Really enjoyed the creative and very interesting things Chantel does to reduce resistence of buyers and sellers --> all leading to YOU getting even more clients!